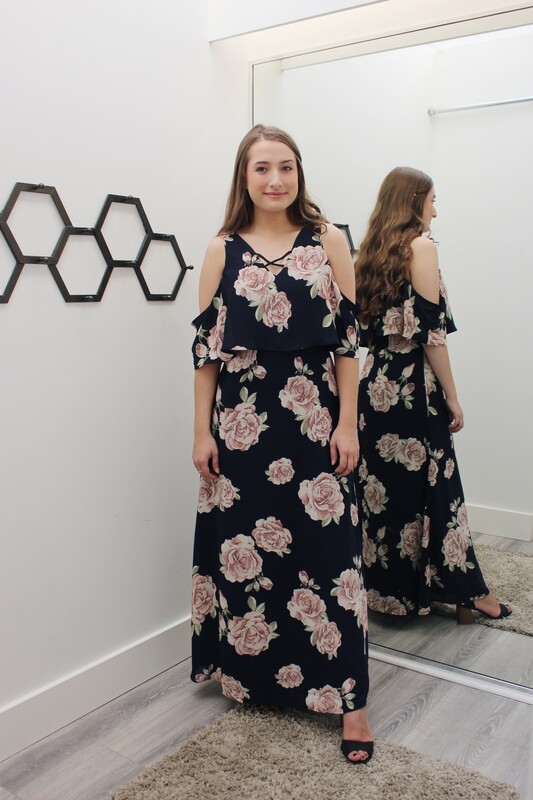 The only cold shoulder you’ll be catching is in this dress! 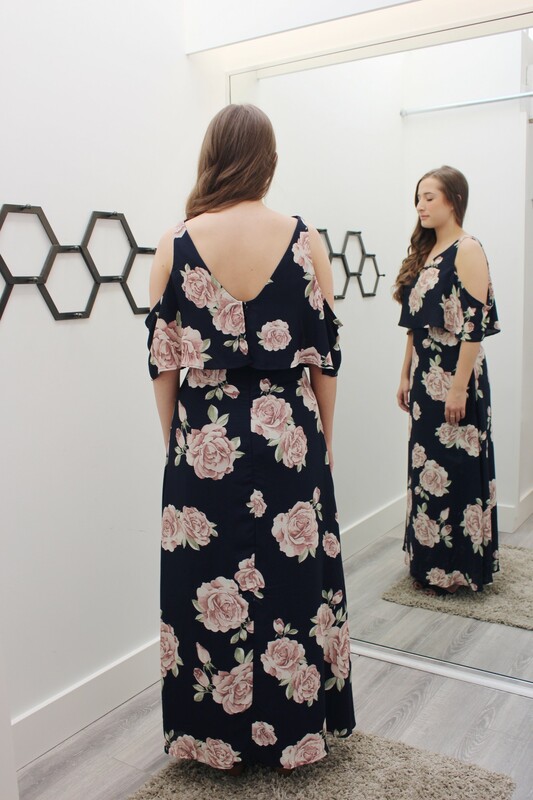 This navy floral dress with a criss cross v neckline is giving us major wedding guest vibes! Model is 5’4 and wearing size small.